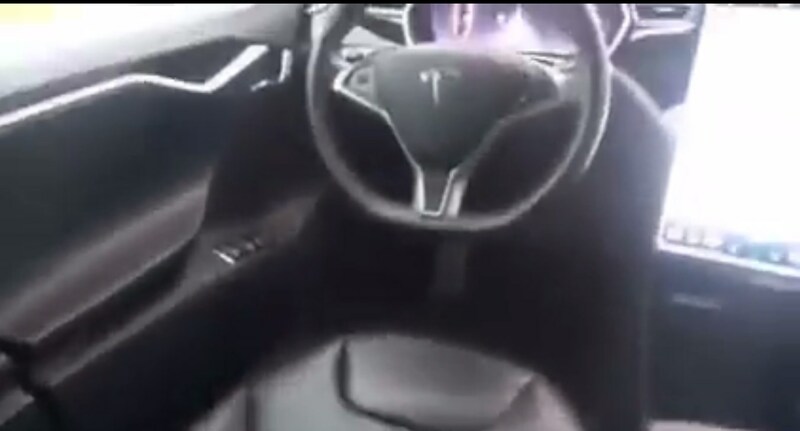 TESLA AUTOPILOT TECHNOLOGY IN ACTION Recorded By Driver! When we think of an autopilot, the first thing that comes to our minds is definitely an aircraft. However, with the rapid technological advancement this first association to an autopilot is about to be replaced by other, or at least to share the primacy with, association. We are referring to the Tesla Autopilot technology, which is still in its beta version. The video we have below, presents how actually this Autopilot works! You would expect that the driver will be sitting where is supposed to, but this is where you would be wrong! The driver`s seat is empty! As a matter of fact, this recording divided the Internet. Some people think that what this driver did is awesome whereas others judge this decision claiming that it is still too dangerous to leave the car drive on its own! Nevertheless, Tesla`s CEO, Elon Musk, warned all Tesla vehicle owners that they should not keep their hands off the steering wheel whilst the autopilot is activated. He has also added that they, as Tesla employees, are still extremely cautious when using the autopilot. It is obvious that this driver didn`t listen to the warning issued by Tesla, but had fun and became an anonymous Internet star overnight! At last, click here to see the performance of the latest Tesla Autopilot technology. The new feature helps the car automatically swerve to prevent accidents!